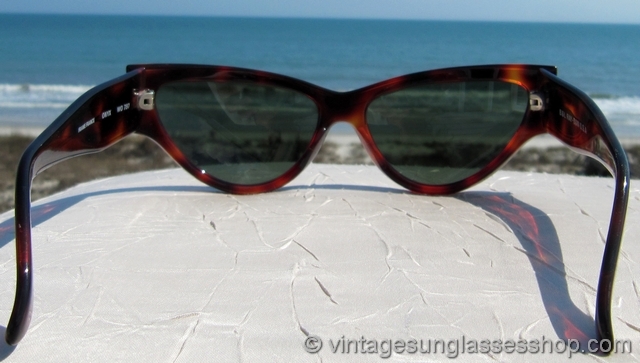 1 Vintage Ray-Ban W0797 Onyx sunglasses feature a beautiful tortoise shell frame with plenty of translucence that lets light pass through and creates a shimmer in the tortoise frame. 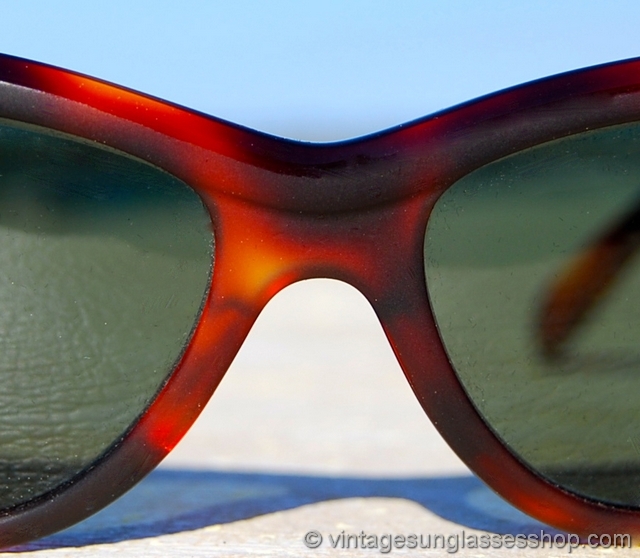 All the distinctive design features of Ray-Ban Onyx sunglasses are here including the thick tapered ear stems and the large, pronounced temples that look like an ultra modern version of 1950s cat eye sunglasses. 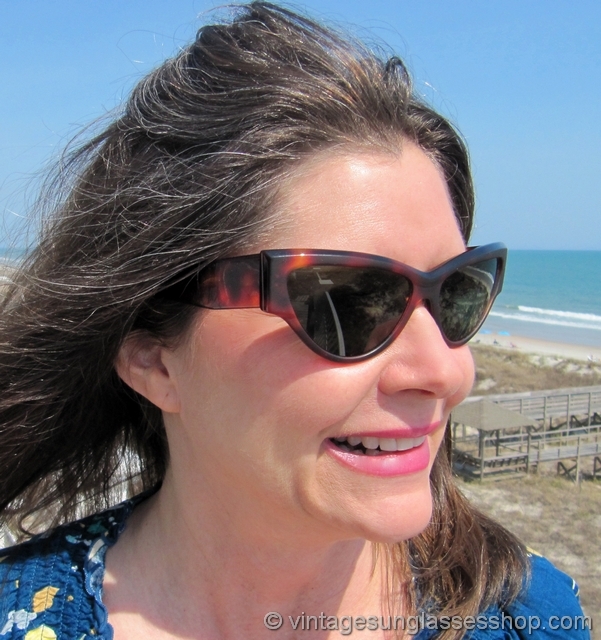 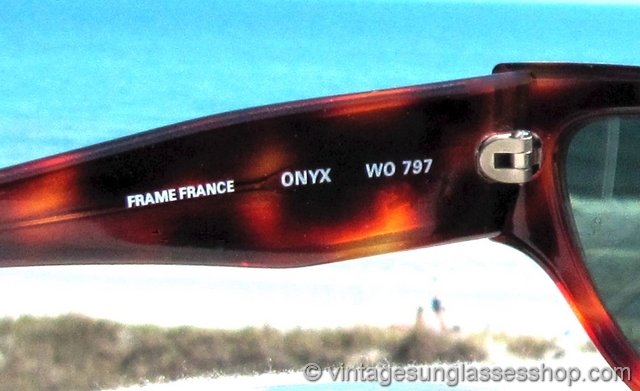 The unisex Ray-Ban Onyx frame measures approximately 6.0" temple to temple, and the lenses measure approximately 2.375" x 1.375" at the widest points with both lenses laser etched BL near the hinges. 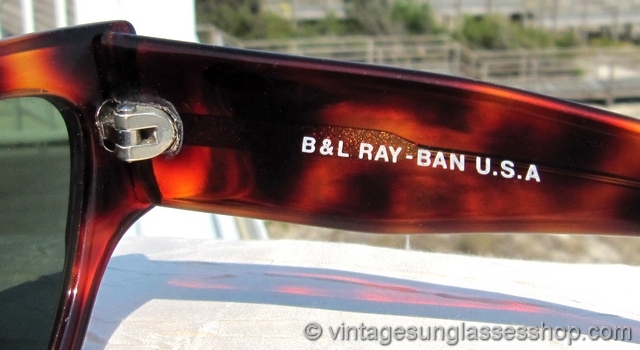 You'll find the Ray-Ban logo subtly embossed on the exterior of one ear stem, and the inside of one stem is marked B&L Ray-Ban USA while the inside of the other stem is marked Frame France Onyx W0797. 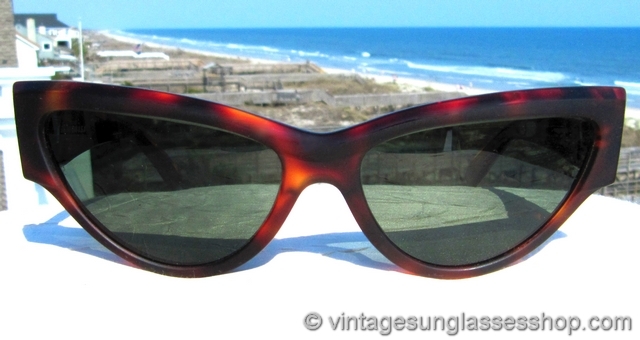 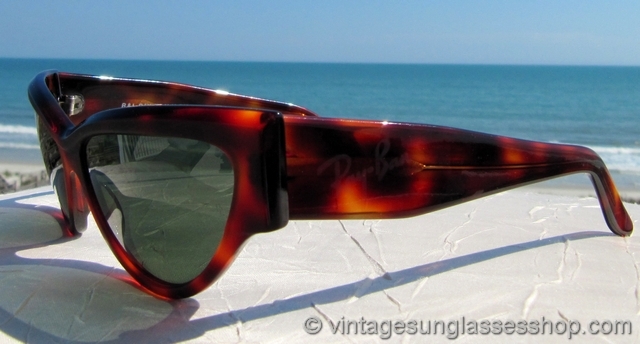 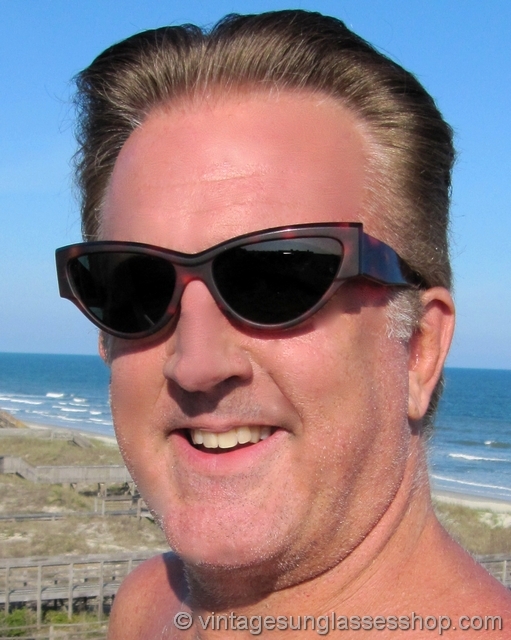 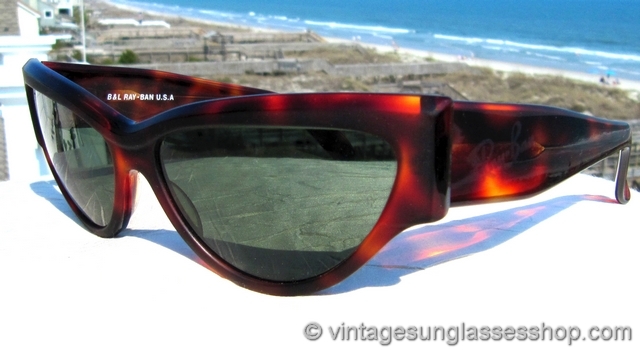 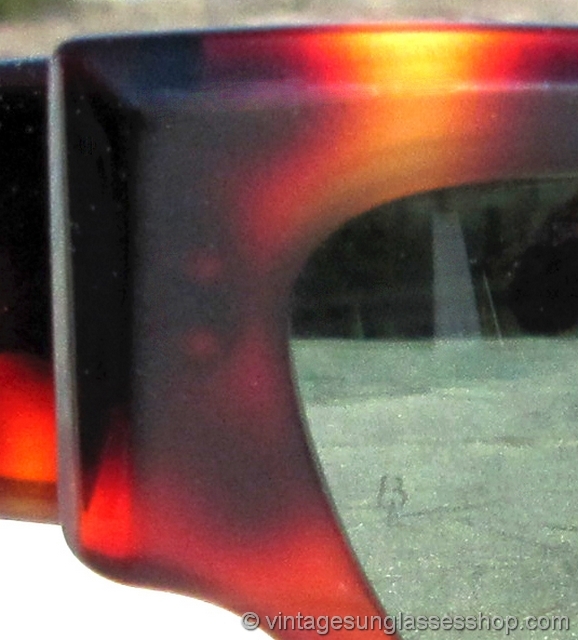 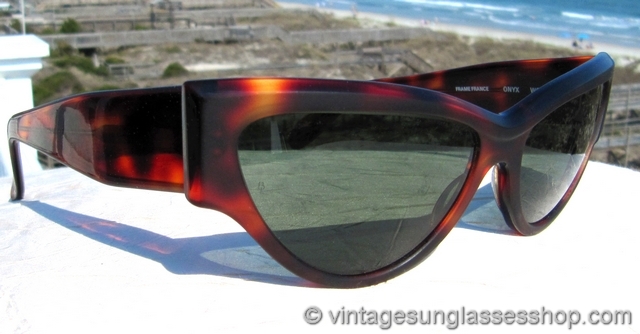 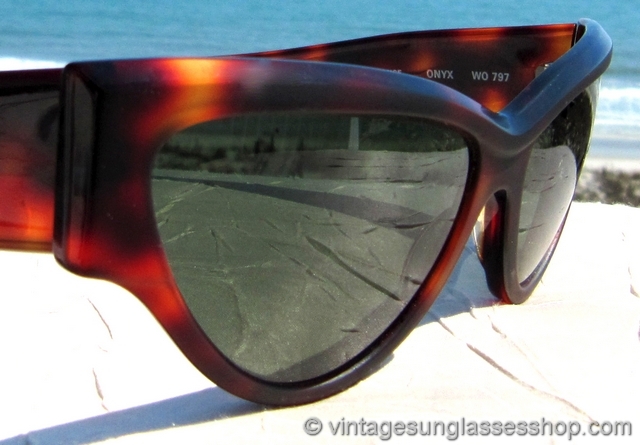 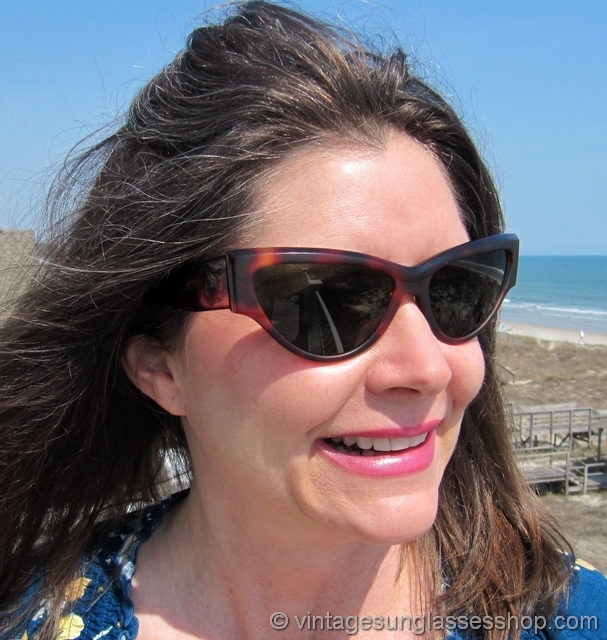 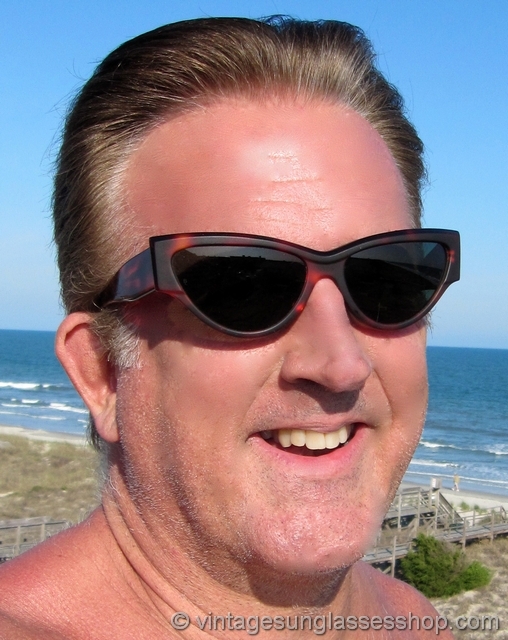 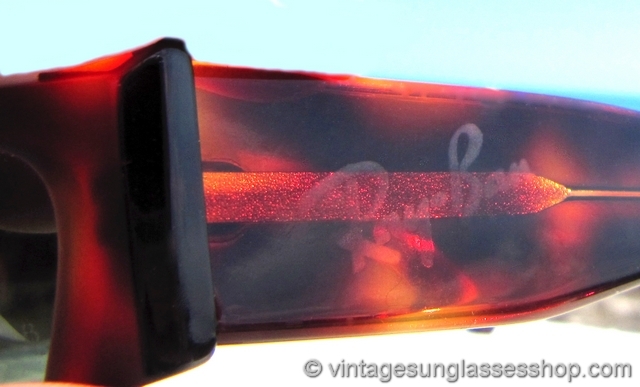 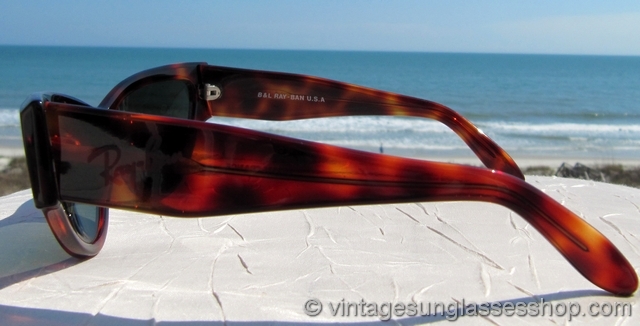 2 Step up another level beyond our already unequaled vintage condition standards with new old stock Ray-Ban W0797 Onyx tortoise shell sunglasses in mint, unworn condition.